Lisa Bafagih, a renowned architect and educator at St John’s College Cork, is conducting a workshop for sketchup users. The workshop will be held on Thurs 26th July from 10:00am – 4:00pm at National Sculpture Factory, Albert Road, Cork. This workshop is specifically designed for the artists and creators who want to improve their basic knowledge and skill with the SketchUp Interface and modelling tools. The workshop will also focus on the more advanced capabilities of the program with illustrations onthird party plugins and SketchUp Pro. a. Presentation with the SketchUp interface and navigation tools. b. 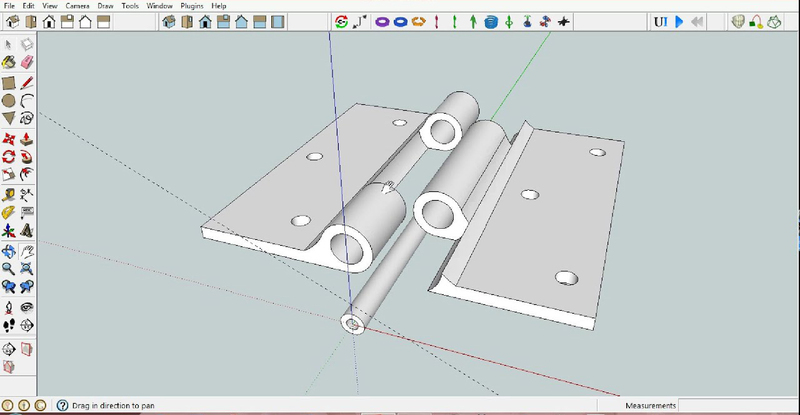 Best practice while applying SketchUp’s modelling and modification tools. c. Elementary modelling techniques with 2D and 3D modelling tools. d. Model organization along with groups and components. e. Application of the SketchUp Warehouse. g. Section planes, cameras and 2D export formats. b. SketchUp Pro, CAD import. c. Sketchup Pro, export to Layout, scale. d. Twilight Plug -in, rendering. This workshop is intended for all levels of expertise but primary computer skills are necessary. This workshop is part of an Art & Technology Workshop Series at the NSF for 2018 which will consist of workshops in Rhino – a 3D modelling programme; Blender & 3D Printing and introductory course to VR – Virtual Reality, its platforms, gear and the Unity Gaming Engine.